The Egyptians, Romans and the people of Crete had sophisticated plumbing systems. When the Romans settled conquered areas, they brought their plumbing with them. 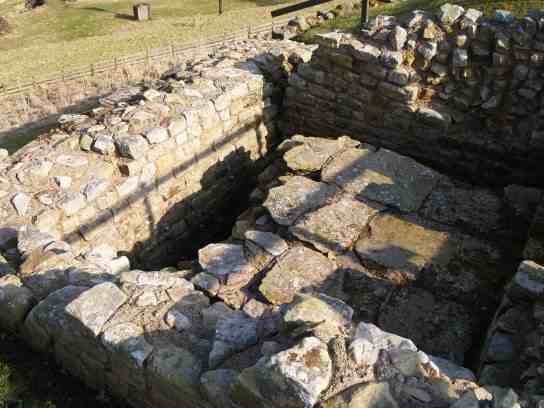 Even the forts on Hadrian’s wall had stone water channels that carried waste away. When the Romans left Britain, their heating systems and plumbing fell in to disrepair. Later inhabitants used outdoor privies or latrines and primitive pots that had to be emptied by hand. Filth was common—sewage ran in the streets. 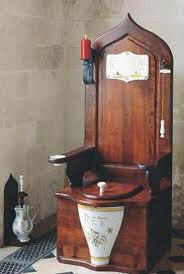 Even Queen Elizabeth with her velvet-covered close stool did not have a real flush toilet until her godson, Sir John Harrington, gave her one. His new invention did not have the pipe setup that would prevent the stink. 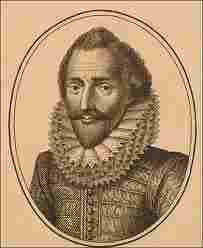 Sir John published a pamphlet in 1596 called the “Metamorphosis of Ajax” (“jakes” was a common term for privy) with the full instructions for the construction of a valve closet. Later, Thomas Crapper (1837-1910), an English sanitary engineer, invented the valve-and-siphon arrangement that is the basis for modern toilets. Toilets did not enter into widespread use until the late nineteenth century, when they were installed in English upper class residences.